SPECS: 9° and 10.5° with Ping Alta CB, Ping Tour and various aftermarket shafts, including Mitsubishi Kuro Kage Silver Dual-Core TiNI 60, Project X HZRDUS Yellow 75 and Aldila X-Torsion Copper. RECOMMENDATION: Targets mid- and high-handicappers who are tired of losing golf balls and want to hit it higher and straighter on a more consistent basis. KEY TECHNOLOGIES: Forged T9S+ face for more flex and speed; a high-density back weight for a deep CG, high MOI and impressive forgiveness on off-center hits; Dragonfly Technology for a thinner crown and additional weight savings; turbulators and Vortec Technology for improved aerodynamics and less drag. 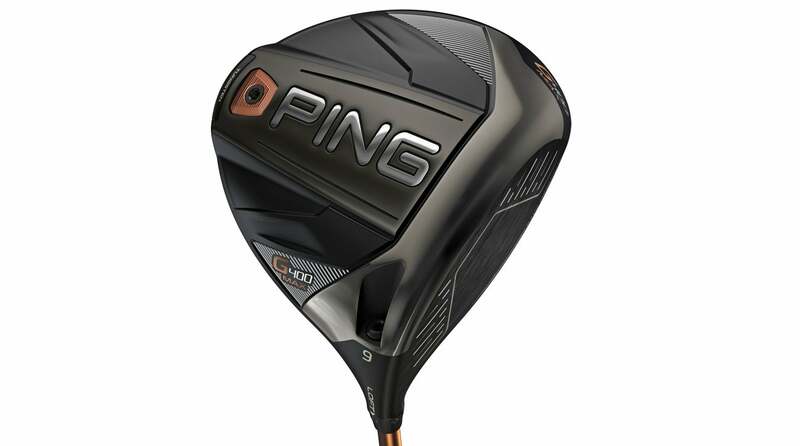 Ping's engineering roots shine clearly in the new G400 Max. At 460cc, it offers major performance benefits that some players will find extremely appealing. It's called “Max” because it takes everything built into the standard G400 to the very edge. Expect a high MOI, high stability and forgiveness, high launch, and for some, a heavy helPing of extra yards. With the addition of this model, there are very few players who couldn't find a Ping driver to fit their needs. "The ultimate in forgiveness. High-launching, mid- to low-spin driver that's the most stable Ping has ever produced. Provides a larger profile (460cc vs. 445cc) than the standard G400, giving some players added confidence at address and even more forgiveness on mis-hits."